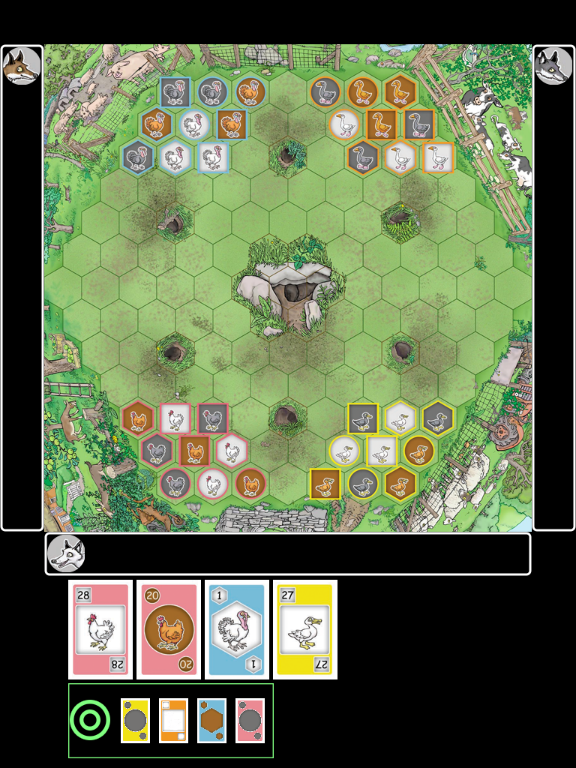 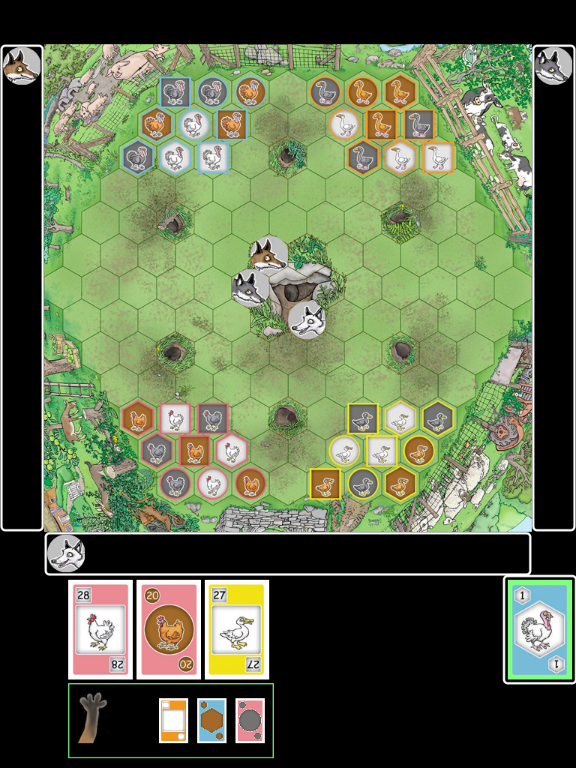 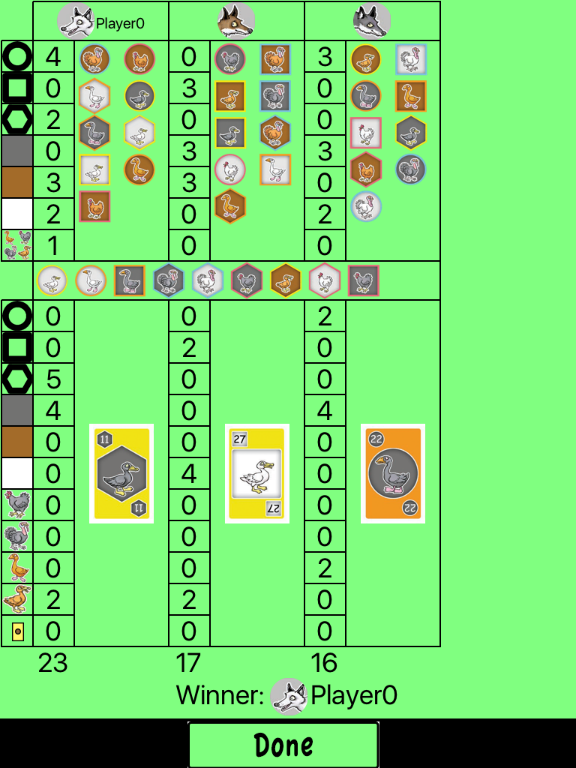 In the game each player controls a fox. 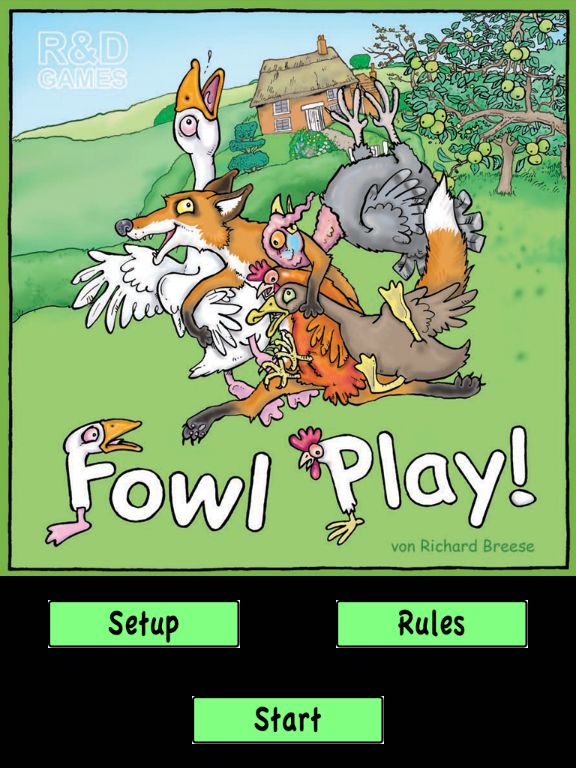 Using heir fox, a player will try to capture some of each of the types of fowl that are found in the farmyard: chicken, ducks, geese and turkey. 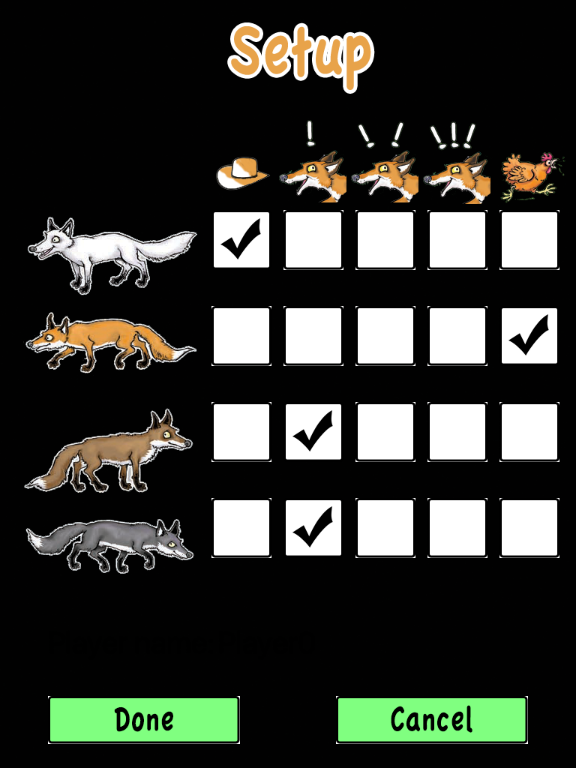 Foxes need a balanced diet! 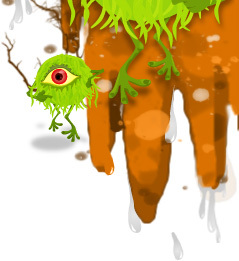 The game will be implemented for the iPad only!